The Iliad. Sets the standard for the narrative of action. Aristotle, Poetics. Sets the terms for all later debate on the truth claims of history versus the truth claims of poetry. Cervantes, Don Quixote. The source-book for all writers of fiction. Reminds us how old most of our bright new ideas are. Rousseau, Confessions. Reminds us how hard it is to tell the truth. Dostoevsky, Brothers Karamazov. Reminds us what the novel of ideas can achieve. J.M. 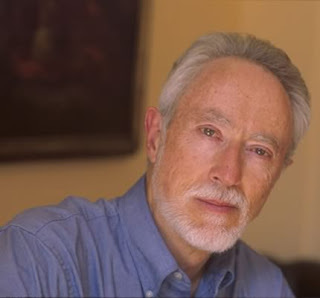 Coetzee’s work includes Dusklands, Life & Times of Michael K, Disgrace, and, forthcoming in January, Diary of a Bad Year. He has won many literary awards, including the CNA Prize (three times), the Booker Prize (twice), the Prix Etranger, the Jerusalem Prize, the Lannan Literary Award, the Irish Times International Fiction Prize; and the Commonwealth Writers Prize. In 2003, he was awarded the Nobel Prize in Literature. "Critical Library: J.M. Coetzee" was posted October 03, 2009.